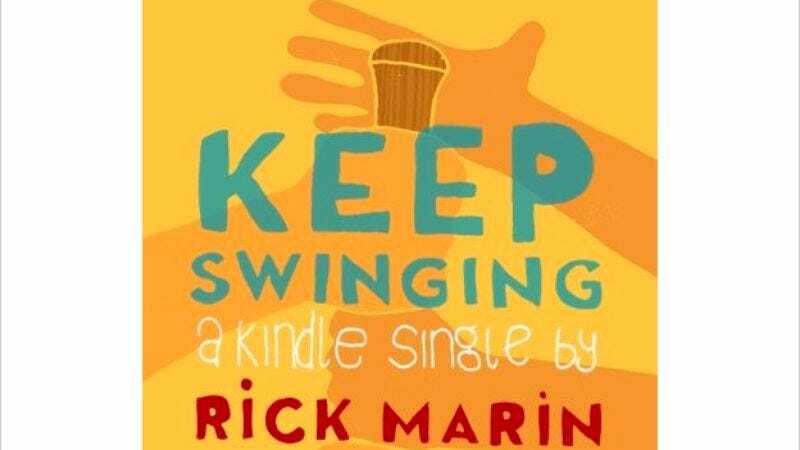 Suggesting that you should stop messing around with that silly little blog and get marginally more serious if you ever hope to sell a TV show, the latest project from Conan O’Brien’s Conaco Productions will be a comedy pilot based on Rick Marin’s Kindle single, Keep Swinging. While writing the mini-memoir—which focuses on “the world’s most sports-challenged dad” and his experiences coaching his son’s youth-baseball team—the former Everybody Loves Raymond staffer opted to skip the traditional publishing route, taking his story straight to the people and giving your parents all the more reason to ask you when you’re going to start writing that novel. “National Novel Writing Month just started,” they’ll remind you. “Get all those great ideas out of your head and into a Kindle single, and who knows—in just a few months, maybe you’ll end up with a TV deal like that nice guy who used to produce Men Of A Certain Age!” The A.V. Club will now gently remind our parents that we’ve published two Kindle singles, and they’re just out there, waiting to get picked up as a television series—though, fair warning to producers in search of fresh new voices and supple creative minds: One of those singles is about a previously existing television series.